It is often said that the first sound we hear in the womb is our mother's heartbeat. Actually, the first sound to vibrate our newly developed hearing apparatus is the pulse of our mother's blood through her veins and arteries. We vibrate to that primordial rhythm even before we have ears to hear. Before we were conceived, we existed in part as an egg in our mother's ovary. All the eggs a woman will ever carry form in her ovaries while she is a four-month-old fetus in the womb of her mother. This means our cellular life as an egg begins in the womb of our grandmother. Each of us spent five months in our grandmother's womb and she in turn formed within the womb of her grandmother. We vibrate to the rhythms of our mother's blood before she herself is born. And this pulse is the thread of blood that runs all the way back through the grandmothers to the first mother. We all share the blood of the first mother - we are truly children of one blood. The drum, a story to explain why some people cry when they hear the drum. I was attending a powwow and was standing in the drum circle when I noticed some people crying. I was wondering why and remembered that, one day, when I was talking about the Being of Light that I met in a near death experience, a little girl was smiling at me and when I was finished, she came to me and said: " I know the Being of Light to. Before me soul came into my body, I was with that Being of Light and was shown everything that was going to happen to me during my coming life on Earth. I then chose my parents and entered my body. " I remember that, being in the presence of the Being of Light was the most beautiful experience I ever had, probably the most beautiful in the universe. When our soul is outside of our body, it can see through obstacles, hear conversations several kilometers away and it remembers everything that happened while it was outside of our body. 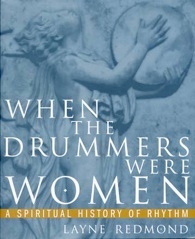 The reason why some people cry when they hear the drum is because the very first thing our soul hears when it enters our body is the heartbeat of our mother and we cry because it remind our soul of that time when it was separated from the loving embrace of the Being of Light to enter our body. 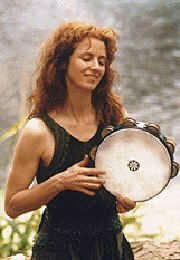 The drum reminds us of the most beautiful love there is in the universe.